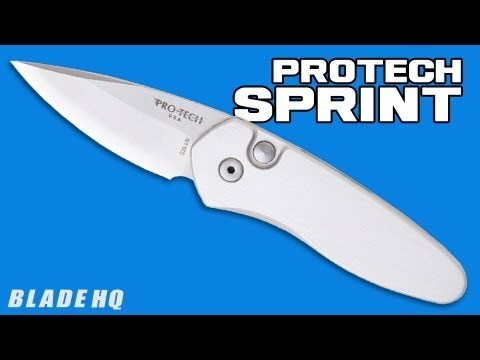 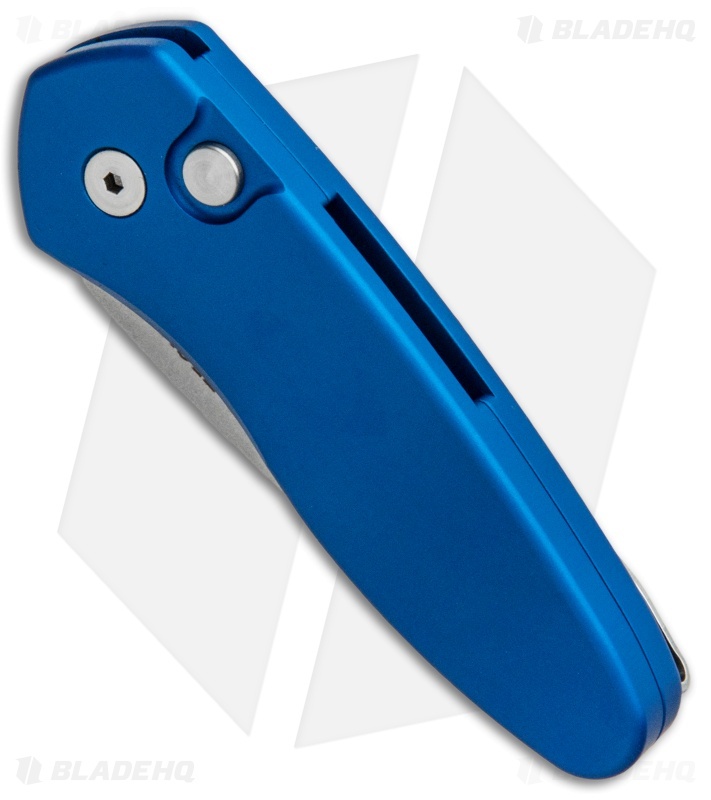 The Sprint knife is a slim and sleek design with superb action and a top-notch build. 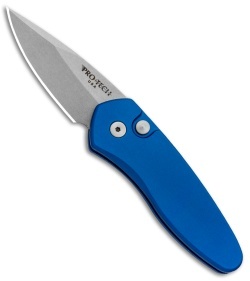 This knife has a stonewash finished S35-VN steel blade that opens via the recessed push button. 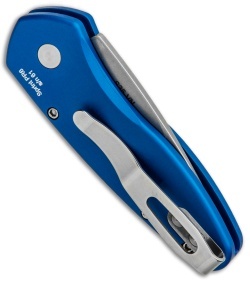 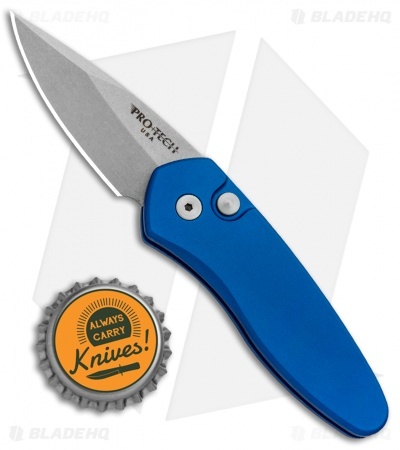 This one has a blue anodized aluminum handle, which is numbered on the back side. The handle has a slimmer build than the Runt models. Includes a tip-up carry pocket clip.